Draft: 2014, New York Yankees, 4th rd. Played three seasons at the University of South Carolina (2012-14), going 20-7 with a 2.87 ERA (253.2IP, 81ER) in 44 appearances (42 starts)…also made five postseason starts, going 5-0 with a 0.93 ERA...Graduated from Sumter H.S. (S.C.), earning 2011 Gatorade State "Player of the Year" honors after going 11-0 with a 0.38 ERA as a senior...In January 2018, spent two weeks with patients at Palmetto Children's Hospital in Columbia, S.C., promoting a virtual book drive on behalf of "Reach Out & Read," an organization which helps build home libraries for children at clinics located at various pediatric hospitals in South Carolina...Visited and played games with patients at the NYU Hassenfeld Children's Hospital in August 2018. Made just six starts with the Yankees, going 2-0 with a 3.62 ERA (27.1IP, 25H, 11ER, 12BB, 23K, 3HR)…opponents hit .240 (25-for-104, 3HR); LH .000 (0-for-11), RH .269 (25-for-93, 3HR)…held opponents to a .125 BA (3-for-24) with RISP…the Yankees went 5-1 in his starts…made his first career Opening Day roster...Left his 5/1 start at Houston after 1.0IP with left elbow tightness…was placed on the 10-day disabled list on 5/2 with a left elbow strain…was transferred to the 60-day disabled list on 8/13. 4 On 6/7, underwent "Tommy John" surgery on his left elbow, performed by Yankees Head Team Physician Dr. Christopher Ahmad at NewYork-Presbyterian Hospital…a loose bone chip was also removed from the elbow...Made six spring training appearances (five starts), going 2-2 with a 3.43 ERA (21.0IP, 8ER) and 20K. In his ﬁrst Major League season, went 9-7 with a 3.88 ERA (155.1IP, 140H, 72R/67ER, 51BB, 144K, 21HR) in 29 starts over ﬁve stints with the Yankees (4/12-7/8, 7/14-8/6, 8/11-19, 8/30, 9/1-end of season)…opponents hit .236 (140-for-592); LH .195 (17-for-87); RH .244 (123-for-505)…had 2.7 WAR and a 4.07 FIP (FanGraphs)…the Yankees went 13-16 in his starts... Finished sixth in AL Rookie of the Year voting, receiving one second-place vote and one third-place vote (4 pts.)... was also named to the Topps MLB All-Star Rookie Team... Led AL rookies in starts, strikeouts and innings pitched…tied for second in wins (Los Angeles-AL's Parker Bridwell, 10-3)…ﬁnished second in strikeouts among MLB rookies to Colorado's Germán Marquez (147), tied Marquez for the most starts, was fourth in innings pitched and tied for ﬁfth in wins…led Major League rookie pitchers in WAR... His 144K were the sixth-highest single-season total by a rookie in Yankees history: Russ Ford (209 in 1910), Al Downing (171 in 1963), Stan Bahnsen (162 in 1968), Doc Medich (145 in 1973), Ray Caldwell (145 in 1911)... His 29 starts were ﬁfth-most by a rookie pitcher in a single season in Yankees history, second among left-handers to Fritz Peterson (32 starts in 1966)…were the most by any Yankees rookie since Doc Medich (32) in 1973…were the most by an AL rookie since Tampa Bay's Jake Odorizzi (31), Kansas City's Yordano Ventura (30) and Seattle's Roenis Elías (29) in 2014... Was the third Yankees rookie since 1974 to throw at least 150.0IP in a season, joining Iván Nova (165.1IP in 2011) and Andy Pettitte (175.0IP in 1995)... Limited LHB to a .195 BA (17-for-87), sixth-lowest among AL starters (min. 75AB by LHB)…faced just 96 LHB (14.8% of batters faced), compared to 553 RHB (85.2%)…faced strictly RHBs in six starts... Held opponents to a .221 BA (27-for-122) with RISP, eighth-lowest in the AL (min. 100AB with RISP)... Opponents swung at 33.2% of his pitches outside the strike zone, the ninth-highest "chase rate" among Major League pitchers with at least 150.0IP (FanGraphs)…according to Brooks Baseball, opponents batted a combined .185 (67-for-362) with 121K against his three oﬀspeed pitches (changeup/slider/curveball)... Was 6-3 with a 3.43 ERA (81.1IP, 31ER) in 15 starts at home…his 0.77 HR/9.0IP ratio (7HR/81.1IP) at Yankee Stadium was the sixth-lowest by a Yankees pitcher in the nine-year history of the Stadium (min. 75.0IP)…did not allow a HR over his ﬁnal seven home starts, tied for the second-longest streak of homerless starts at the current Yankee Stadium (David Phelps-9 from 9/19/12-6/2/14, CC Sabathia-7 from 5/24-7/26/11)…allowed 2ER-or-fewer in 10-of-15 starts... Made his Major League debut in 4/12 win vs. Tampa Bay (ND, 4.2IP, 5H, 3R/2ER, 2BB, 7K, 1HR, 1HP)…was signed to a Major League contract and selected to the 25-man roster prior to the game…struck out his ﬁrst two batters faced (Steven Souza Jr., Kevin Kiermaier)…was the ﬁrst Yankees left-hander to make his Major League debut as a starter since Chase Wright on 4/17/07 vs. Cleveland…his 7K were the second-most by a Yankees left-hander in his MLB debut since 1913, behind only Al Leiter (8K on 9/15/87 vs. Milwaukee)…along with C Kyle Higashioka (ﬁrst career start in second career game), became the ﬁrst Yankees battery to each make their ﬁrst Major League starts in the same game since RHP Jorge De Paula and C Michel Hernandez on 9/26/03 vs. Baltimore... Earned his ﬁrst career win in his second career start on 4/17 vs. Chicago-AL, taking a shutout into the seventh inning…is one of ﬁve Yankees left-handers since 1913 to start Yankees victories in each of his ﬁrst two Major League games, joining Ray Fontenot (1983), Bill Miller (1952), Art Schallock (1951) and Russ Van Atta (1933)... Was 4-0 with a 2.59 ERA (31.1IP, 9ER) in ﬁve June starts…was the ﬁrst Yankees rookie starter to go 4-0 or better with an ERA under 3.00 in a calendar month since Stan Bahnsen in May 1968 (4-0, 1.93)... Was 6-4 with a 3.53 ERA (81.2IP, 32ER) in 14 starts from April-June and 3-3 with a 4.28 ERA (73.2IP, 35ER) in 15 starts from July-October ... went 2-0 with a 1.04 ERA (17.1IP, 2ER) in his final three starts... On 8/12 vs. Boston, was hit on the head by a ﬂyball during Red Sox batting practice, but made his start the next day... Went 0-for-3 with 2BB at the plate... drew a walk in his first Major League plate appearance on 4/23 at Pittsburgh... had not batted in an oﬃcial game since he was at Sumter H.S. (S.C.)... Went 0-0 with a 1.13 ERA (8.0IP, 1ER) in two minor league starts…made his ﬁrst start of the season with Single-A Tampa on 4/6 vs. Lakeland, allowing 1R/0ER in 5.0IP (3H, 1BB, 8K)…also started for Triple-A Scranton/Wilkes-Barre on 8/24 at Rochester (3.0IP, 2H, 1ER, 0BB, 3K)... Went 1-0 with one save and a 3.20 ERA (19.2IP, 7ER) in six games (two starts) in Major League spring training…retired all 12BF over 4.0 perfect innings to earn the save in a team no-hitter on 3/17 at Detroit. Combined with Double-A Trenton and Triple-A Scranton/Wilkes-Barre to go 14-5 with 2.13 ERA (139.1IP, 122H, 39R/33ER, 45BB, 134K) in 25 starts…recorded the seventh-lowest ERA among all minor leaguers (min. 125.0IP)…tied for the most wins among all Yankees minor leaguers, was second in strikeouts and third in ERA…held opponents to a .232 BA (122-for-525, 5HR); LH .230 (32-for-139, 3HR); RH .233 (90-for-386, 2HR)... Began the season with Trenton, going 9-4 with a 2.55 ERA (102.1IP, 94H, 35R/29ER, 36BB, 97K) in 19 starts…was named an Eastern League Mid-Season and Postseason All-Star…allowed 2ER-or-fewer in 13-of-19 starts with Trenton…recorded a career-high 11K on 6/15 vs. Harrisburg... Was promoted to Scranton/WB on 8/1 and went 5-1 with a 0.97 ERA (37.0IP, 28H, 4ER, 9BB, 37K) in six starts…recorded a 29.1-inning scoreless streak from 8/7-31…recorded at least 8K in three of his six starts... Went 1-1 with a 3.52 ERA (7.2IP, 3ER) in two postseason starts for Scranton/WB…also earned the win in the franchise's ﬁrst Triple-A National Championship vs. El Paso (5.0IP, 6H, 1ER, 0BB, 5K)... Following the season, was tabbed by Baseball America as having the Eastern League's "Best Breaking Pitch." Led Yankees farmhands with 132K, combining with Single-A Charleston and Single-A Tampa to post a 10-8 record with a 2.95 ERA (134.1IP, 118H, 51R/44ER, 36BB, 132K, 5HR) and one complete game in 25 games (24 starts)…had the seventh-lowest ERA in the organization…held opponents to a .236 (118-for-500) BA…allowed 1ER-or-fewer in 11-of-25 games... Logged a 4-3 record and 2.68 ERA (43.2IP, 36H, 15R/13ER, 12BB, 55K) in nine starts at Charleston…earned South Atlantic League "Pitcher of the Week" honors for 5/18-24 after going 1-0 with a 0.79 ERA (11.1IP, 4H, 1ER, 0BB, 15K) in two starts…allowed 2H over 7.0 shutout innings (0BB, 8K) on 5/23 at Greenville... Was promoted to Tampa on 6/1 and went 6-5 with a 3.08 ERA (90.2IP, 82H, 36R/31ER, 24BB, 77K) and 1CG in 16 games (15 starts)…retired 20-of-22 batters faced in his Tampa debut on 6/3-G2 at Lakeland, issuing 1HP and allowing a runner to reach on an error (6.2IP, 0H, 1R/0ER, 0BB, 6K)…was named Florida State League "Pitcher of the Week" for 8/24-30 after throwing 6.0 perfect innings with 8K on 8/28 at Daytona. In his professional debut, combined with the GCL Yankees 2 (three starts) and short-season Single-A StatenIsland (seven games/four starts) to go 1-1 with a 3.79 ERA (19.0IP, 16H, 10R/8ER, 6BB, 20K)…opponents batted.222 (16-for-72). March 23, 2019 New York Yankees placed LHP Jordan Montgomery on the 60-day injured list. Recovering from Tommy John surgery. November 1, 2018 New York Yankees activated LHP Jordan Montgomery from the 60-day injured list. August 13, 2018 New York Yankees transferred LHP Jordan Montgomery from the 10-day disabled list to the 60-day disabled list. Left elbow strain. May 2, 2018 New York Yankees placed LHP Jordan Montgomery on the 10-day disabled list. Left elbow strain. October 3, 2017 New York Yankees reassigned LHP Jordan Montgomery to the minor leagues. October 3, 2017 New York Yankees activated LHP Jordan Montgomery. September 1, 2017 New York Yankees recalled LHP Jordan Montgomery from Scranton/Wilkes-Barre RailRiders. August 31, 2017 New York Yankees optioned LHP Jordan Montgomery to Scranton/Wilkes-Barre RailRiders. August 30, 2017 New York Yankees recalled Jordan Montgomery from Scranton/Wilkes-Barre RailRiders. August 19, 2017 New York Yankees optioned LHP Jordan Montgomery to Scranton/Wilkes-Barre RailRiders. August 11, 2017 New York Yankees recalled Jordan Montgomery from Scranton/Wilkes-Barre RailRiders. August 7, 2017 New York Yankees optioned LHP Jordan Montgomery to Scranton/Wilkes-Barre RailRiders. July 14, 2017 New York Yankees recalled Jordan Montgomery from Scranton/Wilkes-Barre RailRiders. July 8, 2017 New York Yankees optioned LHP Jordan Montgomery to Scranton/Wilkes-Barre RailRiders. April 9, 2017 LHP Jordan Montgomery assigned to Scranton/Wilkes-Barre RailRiders from Tampa Yankees. April 6, 2017 LHP Jordan Montgomery assigned to Tampa Yankees from Scranton/Wilkes-Barre RailRiders. January 31, 2017 New York Yankees invited non-roster LHP Jordan Montgomery to spring training. August 16, 2016 LHP Jordan Montgomery assigned to Scranton/Wilkes-Barre RailRiders from Trenton Thunder. August 14, 2016 LHP Jordan Montgomery assigned to Trenton Thunder from Scranton/Wilkes-Barre RailRiders. August 1, 2016 LHP Jordan Montgomery assigned to Scranton/Wilkes-Barre RailRiders from Trenton Thunder. April 4, 2016 LHP Jordan Montgomery assigned to Trenton Thunder from Tampa Yankees. June 1, 2015 LHP Jordan Montgomery assigned to Tampa Yankees from Charleston RiverDogs. May 18, 2015 Charleston RiverDogs activated LHP Jordan Montgomery from the 7-day disabled list. May 11, 2015 Charleston RiverDogs placed LHP Jordan Montgomery on the 7-day disabled list. April 8, 2015 LHP Jordan Montgomery assigned to Charleston RiverDogs from Staten Island Yankees. July 18, 2014 LHP Jordan Montgomery assigned to Staten Island Yankees from GCL Yankees2. July 8, 2014 LHP Jordan Montgomery assigned to GCL Yankees2 from GCL Yankees1. June 20, 2014 LHP Jordan Montgomery assigned to GCL Yankees1. 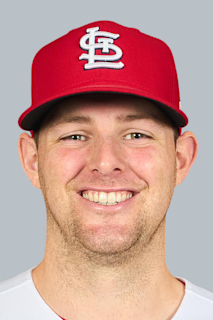 June 19, 2014 New York Yankees signed LHP Jordan Montgomery.